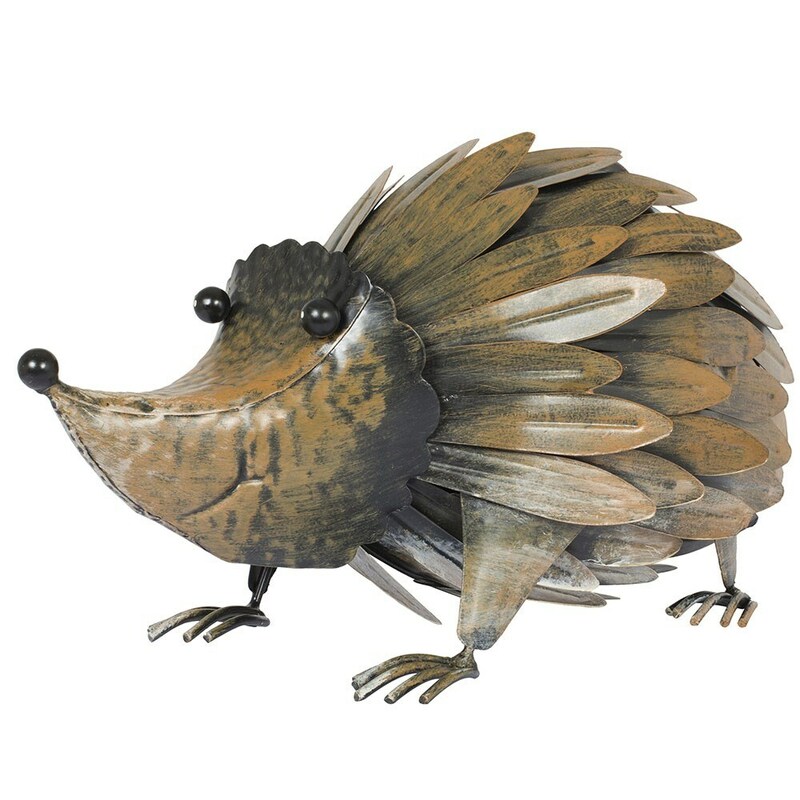 Add character to the garden and encourage real hogs to stop by with this adorable steel hedgehog. Handmade and hand-painted, the little fellow has textured spines, black beaded eyes and nose and a cheeky grin. Finished in mottled brown. Suitable for indoor and outdoor use.